The iGaming operator Stakers announces release of sports betting pools. Now players have a chance to win jackpot with the starting liquidity of 100k by placing the minimum bet of 20 cents. Struggling to innovate the gaming process Stakers team introduces new features to Toto rules, meaning players can win by guessing minimum 6 out of 15 picks. "Driven by our cutting-edge technology and iGaming experience, we introduce the new and exciting feature of Pools with guaranteed world’s notable jackpot liquidity. We’ve become the first company in the gaming industry to introduce purpose-built fully optimized web version of the Pools. This will spearhead a change in the betting experience, and that is truly exciting!” said Michael Schmidt, company business development manager. The essence of the Pools betting lies in the distribution of the wagered total among the participants. Stakers offers the following betting options: picking the outcomes manually or using the “random selection” function. With no odds presented, players have the opportunity to follow the teams’ straights in percentage and bet on the favorites in a click. Stakers also promotes three possible pool betting types: 1X2- a daily soccer with 15 picks, Tennis Head to Head and Soccer Correct Score. Abiding by the market standard rules, it also provides several twists both in terms of a number of winning outcomes and the winning jackpot share. Michael Schmidt points out “Today eGaming has proven to be an increasingly growing industry with a number of players around the world from 10 to 80% of national population. In European states, ePlayers comprise approximately 60%. The desire to move towards players’ interest and to stay in line with the technology changes motivates Stakers’ team to improve its sportsbook, thus introducing innovations into the world of iGaming. 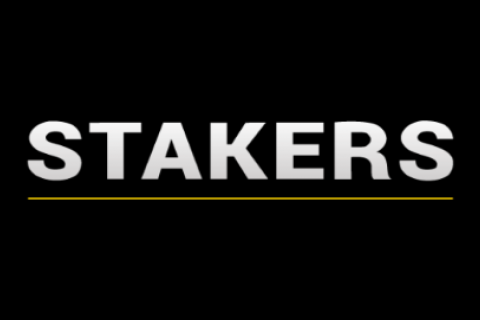 Stakers.com is licensed in Malta and regulated by the Maltese Gaming Authority. License number MGA/CL2/1306/2017.